For help finding a skilled dog professional, consider asking friends and neighbors for referrals or call a reputable pet sitting service. Better, yet, contact a local veterinarian. The staff can be a great resource for finding a good behaviorist or trainer. In the Professional Services section located at the back of this book, I list a few service providers in the greater Los Angeles, CA area that I have worked with and like. Once you have a professional’s contact information, it’s a good idea to schedule an interview. Ask everything, you want to know but avoid demanding training or behavior modification to be done in a specific way. You called a professional for help, because you were overwhelmed with your dog challenges. After the professional offers his/her thoughts, it’s okay to ask why he/she thinks these are the best options. However, you shouldn’t expect a detailed diagnosis or resolution yet. Any professional will want to meet you and your dog first, before providing more details. Remain open to his/her diagnosis to differ from yours. Any knowledgeable professional will always ask you questions about your dog and your specific problems. He/she will want to know about your dog’s behavior, background, daily routine, and might inquire about possible health conditions, that could be applicable to the problem. Any reputable professional will likely offer to meet you prior to hiring to evaluate challenges first-hand and to get to know each other. If you invite someone into your home to work with you and your dog, it’s important to be comfortable with that person. Reputable professionals charge by the hour or offer fixed price packages for specific problems with performance guarantees. They will take their time during consultations and training sessions to answer all questions, and will want you and your family to be part of the training process. Trainers who want to jump straight into scheduling without taking the time to answer your questions, will probably be similarly brief after you hire them. Stay away from dog professionals who offer comprehensive, remote diagnosis without having met your dog. When I receive an initial phone call, one of the requests I receive more than any other is, “We want positive reinforcement only.” While I appreciate the motivation behind this request, it is the wrong starting point. In my experience this requests usually means the client has had a bad experience with a previous professional or has read horrible stories of animal abuse by dog professionals. Most of my clients come through referrals. And most have had bad experiences in the past, so I understand their fears. However, positive reinforcement is only one component of proper training or behavior modification. Before the situation has been assessed in its entirety, it’s impossible to decide what approach would be effective. You probably won’t tell a plumber or mechanic how to do his job. Let the dog professional be your guide about what is appropriate. If, after being presented with the approach the dog professional is recommending, you don’t agree with it, you don’t have to hire him/her. Look elsewhere. A former client didn’t like the approach the first trainer she spoke with recommended and so she continued interviewing other trainers. She was hoping to find a trainer who would tell her what she wanted to hear. In doing so she discovered that every trainer she spoke with recommended the same approach for her aggressive dog. She ultimately became my client and I resolved the dog aggression but it took a lot of convincing and explaining before she was ready to accept that corrections had to be part of the approach. Generally, positive reinforcement as the exclusive approach to dog training doesn’t work. It fundamentally ignores how dogs learn. Trainers, who claim that positive reinforcement is all they use, simply don’t understand the correct terminology of their methods. However, positive reinforcement is an important building block in any training or behavior modification approach. In a later chapter, we will explore the complete dog training framework and how dogs learn. Another request I receive frequently is to take dogs in for boarding and training. This request tends to stem from the assumption that the problem behavior a dog exhibits is only related to the dog and has nothing to do with the owners. This is simply not so. We affect our dogs with all we do and don’t do. As an owner, you are part of the solution. The only time it is appropriate to work with a dog alone is when we are just teaching new tricks or if a dog needs serious rehabilitation that can’t be done in the owner’s home. However, in case of serious rehabilitation the owner has to become part of the training process at some point to prevent a relapse. Every dog is different, and to claim a specific issue can be resolved in x number of hours, before even meeting your dog, is ridiculous. No skilled professional would do that. 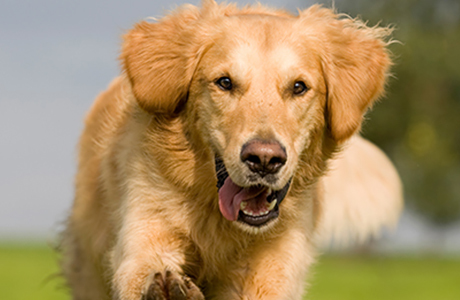 The best dog professionals really can do is to provide an estimate from their experience. How fast or slow you achieve your goals depends to a large extend on your participation. In my experiences with dog/owner relationships, I have had a wide variety of outcomes. Two stand out in my mind. One pit bull who was antagonistic and aggressive toward people transformed into a calm, balanced dog within two months. At the other end of the spectrum, I had a fairly mellow Labrador that the owners couldn’t control on walks. Even after four months, the owners had not accepted their role in this behavior and continued to have problems—but only when the owner was walking him. With me, he was fine. It was the owner’s emotions and fears that caused the dog to react the way he did. The pit bull owners showed 100 percent dedication to nip their problem in the bud. The Labrador owners didn’t seem to make much of an effort outside the training sessions. Both of these examples are atypical and only serve as an illustration, as to what is possible. Changing a dog’s behavior is a process and involves the owner. Any problem behavior is always, at least in part, caused or exacerbated by owners and therefore they have to be part of the solution as well. Keep an open mind when hiring a dog professional. Don’t be blinded by certifications or titles. Facilitate selecting the right type of professional by preparing a set of questions to ask them before making a hiring decision. Hire someone who feels right to you based on your interview. Never hesitate to keep looking if someone seems off. At the end of the day you need to be comfortable with your choice.